Boeing Awarded Contract for More than $383 Million for Protected Tactical Enterprise Services by U.S.A.F. 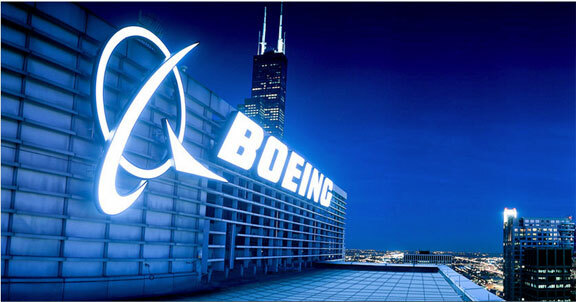 The Boeing Company, El Segundo, California, has been awarded a $383,421,855 cost-plus-incentive-fee, award-fee contract for the Protected Tactical Enterprise Service by the U.S. Air Force. This contract provides for a joint ground system to provide tactical satellite communications with enhanced anti-jam and low probability of intercept to tactical warfighters in contested environments. Work will be performed in El Segundo, California, and is expected to be completed by December 31, 2025. This award is the result of a competitive acquisition and three offers were received. Fiscal 2018 and 2019 research, development, test and evaluation funds in the amount of $17,234,485 are being obligated at the time of award. Space and Missile Systems Center, El Segundo, California, is the contracting activity (FA8808-19-C-0001). According to AFCEA, the Protected Tactical Enterprise Service (PTES) will be a hub-and-spoke system that reaches out to tactical warfighters and uses the WGS constellation. It will tap the Protected Tactical Waveform (PTW), which the government developed to provide secure communications in a frequency-agnostic format, adding additional secure communications to ensure warfighters are more likely to have necessary connectivity while being less likely to have their location identified.